The tail has two flukes, both embellished with numerous tiny, clear and sparkling Swarovski® crystals for sophisticated glittery effect. This necklace isn’t just all beauty; it has rich emotional significance too. The whale tail is a traditional symbol of speed, strength and joy. 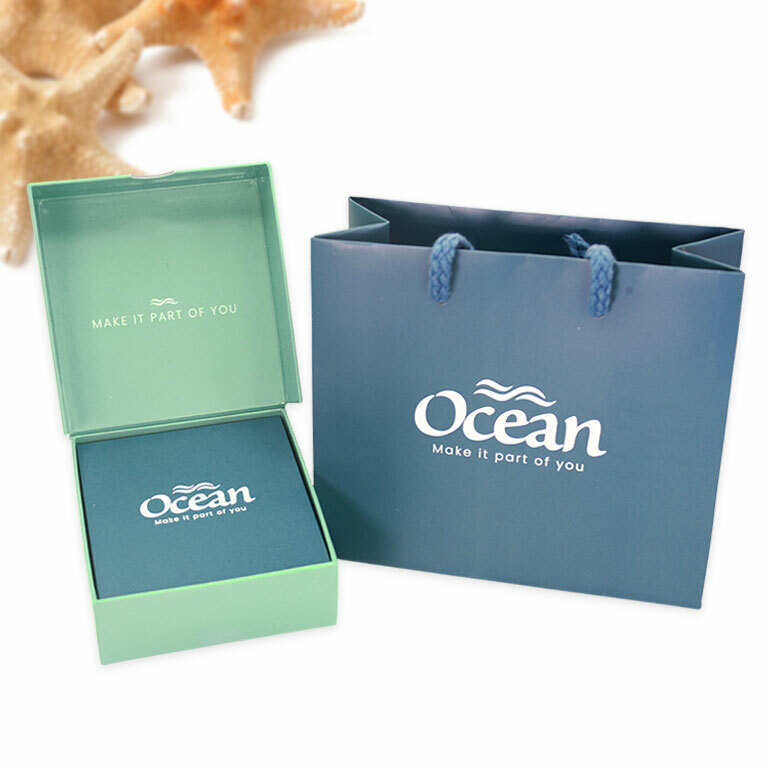 The turquoise blue color creates a feel of serene seas and clear crystals add a soothing aura. This fetching accessory looks a vision when worn around the neck. You can also pair this necklace with the matching Blue Whale Tail Drop Earrings or Blue Whale Tail Stud Earrings to complete the set. The Blue Whale Tail Pendant Necklace has been crafted in Sterling silver and adorned with sparkling Swarovski crystals. 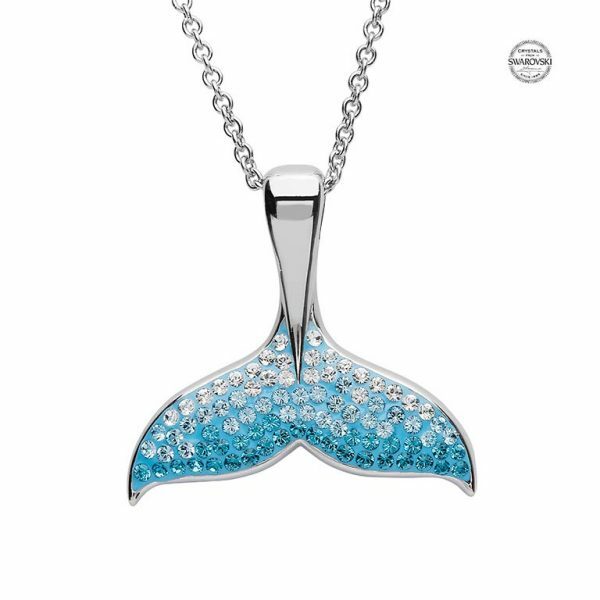 The pendant features a turquoise blue whale tail studded with numerous tiny, clear and sparkling Swarovski crystals. A slim silver chain passes through the plain bail to complete the look. This necklace symbolizes speed, strength, serenity and joy. Perfect piece to enhance your evening look! The Blue Whale Tail Drop Earrings are an elegant accessory to brighten up your day or evening look. Crafted in Sterling silver and embellished with sparkling Swarovski® crystals, each wire hook topped earring features a shapely whale tail drop. The Whale Tail Drop Earrings are simply gorgeous with their simple yet curvy style. Crafted in Sterling silver and encrusted with sparkling Swarovski® crystals, each earring features a shapely whale tail with graceful flukes as its drop part. The Whale Slider Necklace is a remarkably cute accessory that you can team up with your everyday and casual wardrobe. Crafted in Sterling silver, its eye-catching design features a rectangular slider bar with rounded edges highlighted with tiny, clear and sparkling Swarovski® crystals for an alluring hint of dazzle.